Etsy... you may have heard of this site where you can get everything imaginable? Oh, you also buy handmade goods from there every week like me?! 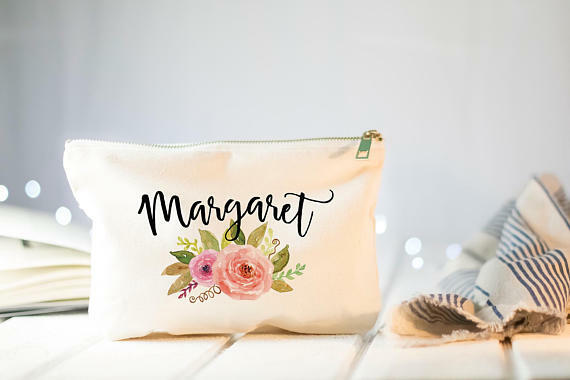 If you're unfamiliar, be prepared to spend a few hours favoriting items for purchase later, but first, start with this list of my favorite bridesmaids gifts from Etsy! These are perfect when you're asking your girlfriends to be a bridesmaid, or as a Thank you! for spending months planning with and supporting you! Better for your ladies with short names, or you could have them all say "LOVE"
It comes in gold or, our favorite, rose gold, and you can find them here! Minimalist is in, especially for jewelry, and I think your girls will love these! I've gone through many-a-cosmetic-bags, simply because I use it every day! 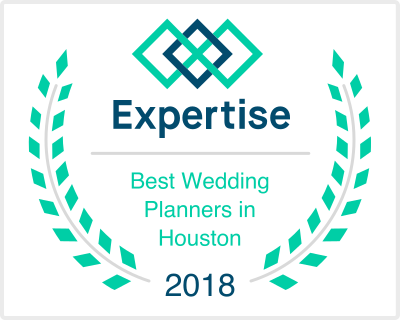 These floral, custom bags are perfect for any lady in your wedding party. For another bonus, stuff them with wedding day essentials like Tylenol, tissues, chapstick, or bandaids! I hope you enjoy some of these easy, but sweet ideas for saying thank you to your bridal party! See you soon!